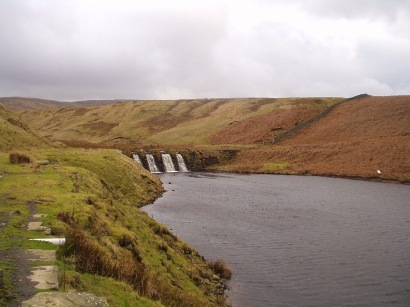 Start at Scar House car park and immediately cross Scar House Dam turning left to follow the shore line. Shortly after the shelter (half way along the reservoir) turn right up the hillside. At the top turn left and follow the track onwards to Angram Dam. 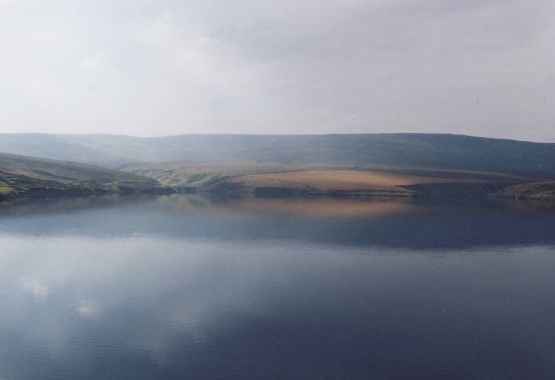 The path around Angram is clearly defined maintaining high level above one of the 'arms' of the reservoir. 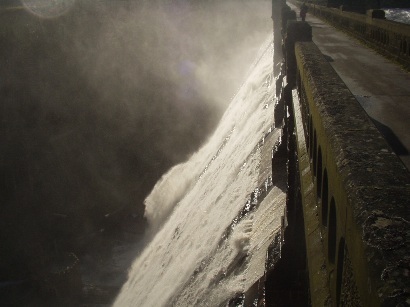 After 3/4 mile the path drops steeply down to a footbridge and then up the other side crossing pasture in the 'tongue' between the two arms The path makes its way around to meet the 2nd arm and crosses by means of a walkway across an intake weir. Bear left of the far side and along the track to meet a gate and along the track, parallel to an overflow channel until Angram Dam is reached. The return from Anagram is straightforward along tarmacadam road. The walk can be shortened if required by crossing Angram Dam. Beware that this is an upland walk with considerable exposure and conditions can deteriorate quickly so it is advisable to be prepared. 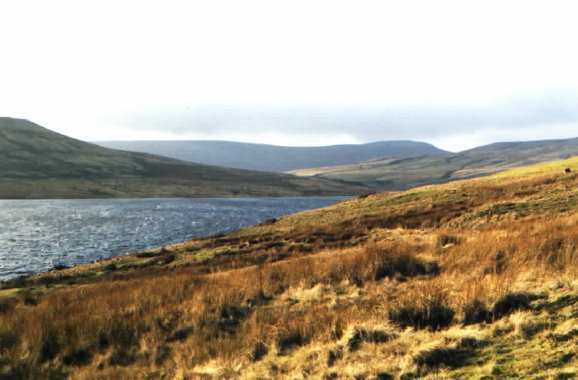 There are a few shelters positioned around the the reservoirs.